Gandhi began his struggles against apartheid and quest for ultimate peace in Durban, Johannesburg, and it was within this house that he developed his position on 'passive resistance', Satyagraha in Sanskrit. From 1908 to 1909, Gandhi lived in the suburb of Orchards, in this house, which was built for him by his German architect friend, Hermann Kallenbach. 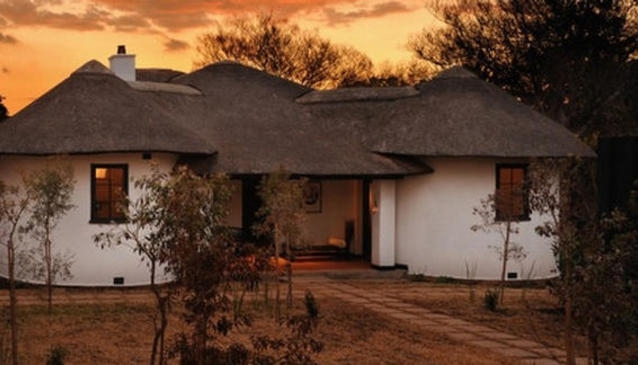 The museum complex today consists of seven rooms.The main house, known as the Kraal, has three rooms and is directly connected to the Museum area. The Kallenbach Cottage is an annex to the main house with two separate rooms, and the New Wing (built in 2010), comprises two modern brick and glass cubes containing three rooms. In an innovative approach to enabling visitors to experience the peace and harmony of the Museum and to reflect on Gandhi's life, bed and breakfast is available here, with many guests staying and enjoying the atmosphere every day.